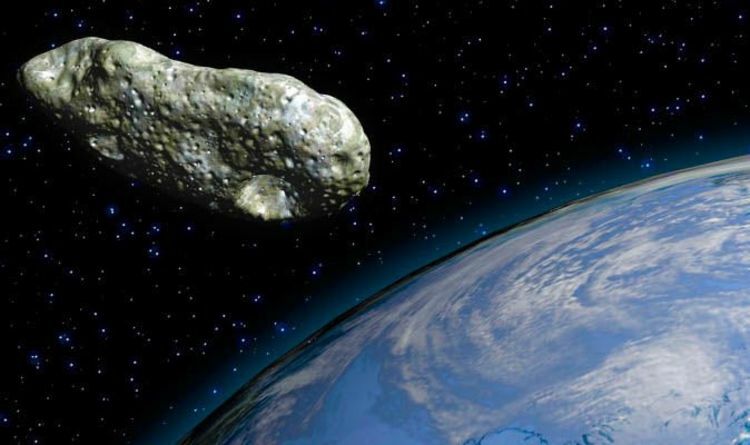 The asteroid, dubbed by NASA Asteroid 2019 BC3, will make a so-called “Earth Close Approach” tomorrow. NASA’s asteroid trackers have narrowed down the asteroid passage to 5.59pm GMT on Thursday, January 31. When this happens, Asteroid BC3 will swing by the Earth at incredible speeds of more than 29,500mph or 13.22km per second. Thankfully, there is nothing to worry about, since the close brush will still see the asteroid miss Earth by nearly three million miles (4.67 million km). But the asteroid’s sheer size and speed are a force to be reckoned with – enough for NASA to pay close attention. According to the US space agency, the asteroid is what astronomers call a “Near-Earth Object” (NEO). NEOs are all asteroids and comets on orbital trajectories which bring them dangerously close to our home world. READ MORE: Asteroid Apophis: Will 1,200ft asteroid named after the god of CHAOS slam into Earth in 2020? Scientists at the NASA Jet Propulsion Laboratory (JPL) in Pasadena, California, estimate Asteroid BC3 is about eight-times longer than a London double-decker bus. The asteroid measures somewhere in the range of 101.7ft to 226.4ft (31m to 69m) in diameter. At the upper end of that scale, the imposing space rock is 30-times longer than a Queen Size Bed and 17-times longer than Volkswagen Beetle car. Even if the asteroid proves to be closer to 101.7ft-wide (31m), BC3 could still be an absolutely catastrophic threat if it hit Earth. A much smaller asteroid injured more than 1,500 people and damaged more than 7,000 buildings when it struck the planet six years ago. The so-called 2013 Chelyabinsk Meteor entered the Earth’s atmosphere undetected and at great speeds where it blew up over Russia. The resulting arblast erupted over Chelyabinsk Oblast with 30-times the force of the Hiroshima nuclear bomb. In the aftermath of the asteroid attack, NASA dubbed the space rock a “cosmic wake-up call to the dangers lurking in space. But the good news is Asteroid BC3 will not hit the Earth tomorrow afternoon even at its closest approach. NASA’s JPL scientists believe the space rock will approach Earth from an estimated 0.03122 astronomical units (au). One astronomical unit is the distance from the Earth to the Sun and measures about 93 million miles (149.6 million km). Asteroid BC3 will considerably cut this distance down tomorrow to just 2.9 million miles (4.76 million km). This is roughly the equivalent of 12.15 Lunar Distances (LD) or 12.15-times the distance from the Earth to the Moon. After BC3 swings past the Earth, NASA’s asteroid trackers do not expect the space rock to visit our corner of space in the future again.